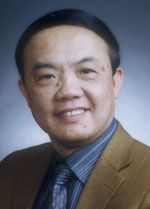 Mr. Yao, a researcher and Academician of the Chinese Academy of Sciences, is the deputy director of the Committee of 7th Session of the National Natural Science Foundation of China. He is the Vice Chair of the Central Chinese Peasants and Workers Democratic Party. He holds the following titles such as the member of the Standing Committee of the 12th National People’s Congress, the deputy director of the Committee of Science, Culture and Hygiene of the People’s Congress, the director of the 7th National Committee of China Association for Science and Technology, the deputy director of the Optical Chemistry Society, the director of the Committee of “Optical Information Stocking” of Chinese Institute of Electronics, and the deputy editorial of the Physical Chemistry Journal, and Imaging Science and Optical Chemistry. He has made substantial impact internationally with what he has achieved for a long time in a series of pioneering research in the areas such as the new materials with optical function and their application as well as the photochromic of organic and inorganic materials. The years of 2004 and 2014 witnessed his success as (the first award winner of) the second prize recipient for his achievement in the Nation’s Natural Sciences. He has published over 350 academic papers in international journals and got 11 national patents for his inventions. He has published his books with one in Chinese and the other in English. By working with others, he has published a book of his translation.